From a seemingly insignificant murder of a girl, to high stake lobbyists, the story’s pendulum swings to a massacre in Namibia and to missing diamonds in Southern Africa. Eden's Diamond explores the themes of murder, conspiracy, greed and corruption; which combined, sets the stage for a bloody revolution in the most populous black nation on earth - Nigeria. In the end, Eden’s Diamond will best be remembered as a story of love; the glory of a people’s unity; and a tragic hero’s ultimate sacrifice. Niki, an undergraduate dies under suspicious circumstances. Datti, her boyfriend, and a member of a dreaded campus cult flees the city. About the same time, a French oil giant throws its financial might behind a retired General in the presidential elections. The nation’s minister of Justice has to investigate the mysterious disappearance of a South African mercenary, Rudolf Weilbach whom it is learnt fought along sides the new president in the ‘70s; also coming to light is the fact that Weilbach was Niki’s father. A reign of blood, terror, and intimidation sweeps across the land as the president desperately tries to keep the secrets of his past buried. And so from a seemingly insignificant murder of a girl, to high stake lobbyists, the story’s pendulum swings to a massacre in Namibia, to missing diamonds in Southern Africa, and then on to the courageous revolution of the people against the status quo. In the end, Eden’s Diamond will best be remembered as a story of love; the glory of a people’s unity; and a hero’s ultimate sacrifice. Movellas has launched a writing competition themed around ‘Bullying’ and titled “Both Sides of the Story”. Movellas has selected Bryony Allen's book OTOLI as the stimulus for the competition and will use some extracts from the book. Movellas want to hear your story about bullying! * Overall Winner: Writer's school wins a class set of SMART Response Interactive Response System, Writer wins an Acer Inspire One mini laptop and a signed copy of Otoli by Bryony Allen. * 1st runner up Writer's school wins a class set of SMART Response Interactive Response System, Writer wins £100 Topshop vouchers and signed copy of Otoli by Bryony Allen. * 2nd, 3rd and 4th runners up all win a signed copy of Otoli by Bryony Allen, donated by the Publishers, Pneuma Springs Publishing. Resonate' by Terry Durose has been reviewed by Richard Bradbury, an author and Church leader in East Yorkshire. "Arising out of experience in city mission, Resonate is written as a guide to evangelism for those wanting to share their faith. Ideal as a resource for cell groups, this book could be used to help motivate and equip people to reach out into their own friendship groups and neighbourhoods or into the streets in which their church is located. The simple, practical style combined with the experience which forms a backdrop to the book, makes it accessible to a wide audience of believers." A new short film ‘Broken Promises’ showing on Sky on Saturday 19th May. 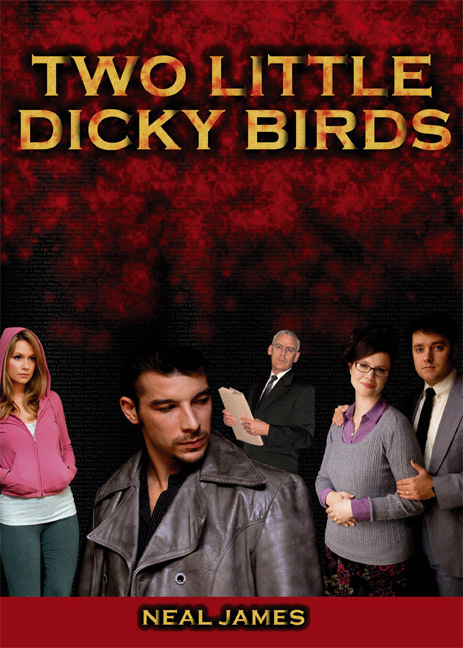 The film is based on a short story by Avril Dalziel Saunders. ‘Broken Promises’ will be shown as part of a short film strand on Sky Showcase TV (Channel 201) on Saturday 19th May 2012 between 10 - 11pm, The film is about 10 minutes long. Avril Saunders is the author of 'Chasin’ That Carrot' and 'Mammograms Save Lives'. Spring Leaf Books has announced that the Kindle e-book editions of the following titles will be free on Amazon on May 16, 2012. If you haven't picked up any of the Authors’ publications yet, this is a great opportunity to try one of them for free. Two Little Dicky Birds by Neal James. 'OTOLI' and 'Two Little Dicky Birds' are in The People's Book Prize 2012 SPRING Collection. Voting is open to all Readers and the general public. Read the books and cast your vote. Stage one voting closes on 20th May 2012. Stage 2 finalists voting will take place from 21st May to choose the overall winner on 30th May 2012. Bryony Allen is the author of two books: 'Mystery Deceit and a School Inspector' and 'OTOLI'Neal James is the author of four books: 'A Ticket to Tewkesbury', 'Short Stories - Volume One', 'Two Little Dicky Birds' and 'Threads of Deceit'. 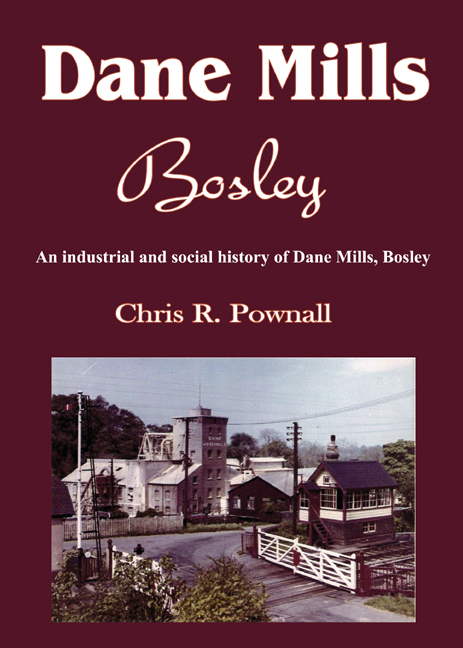 This book is about the notable developments over the past six decades, at the two mills in rural Cheshire, known as ‘Dane Mills Bosley’. Spring Leaf Books has announced that the Kindle e-book editions of the following titles will be free on Amazon on May 12, 2012. If you haven't picked up any of the Authors’ publications yet, this is a great opportunity to try one of them for free. Premier Radio's resident diet and nutrition expert returns to answer more of your food dilemmas. 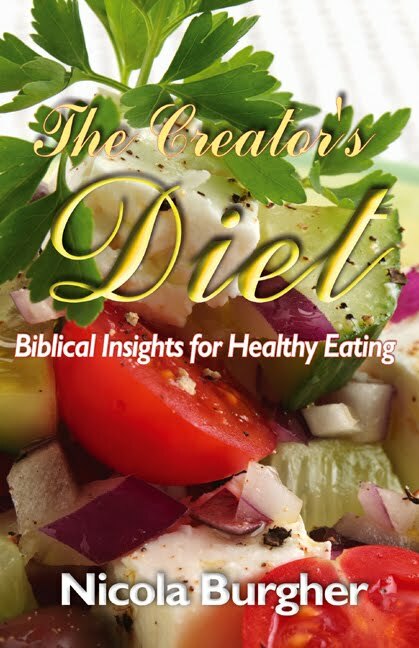 Nicola Burgher-Kennedy, Premier Radio's ever-popular resident diet and nutrition expert, returns to answer more of your food dilemmas from a practical and Biblical perspective. Featuring on John Pantry's Inspirational Breakfast show, Nicola will be sharing her top tips for eating healthily on a tight budget as well as taking your calls. Tune in with your questions at 7.50am UK time, Thursday, 10 May 2012. We wish Nicola the very best with this event. Precisely my point. But let me back up a bit. When I started EMSI 22 years ago, I soon realized the clients who got the attention of the media most quickly were those who’d written a book. Not just any book, mind you, but one that aligned with what they were promoting. The apple salesmen who wrote about apples were far more successful getting media coverage than those who wrote about oranges – and those who hadn’t written anything at all. Why? Because yesterday’s business cards are today’s books. They give their authors immediate credibility, establishing them as experts in their fields. Credibility opens the door to journalists, talk show hosts, bloggers and anyone else creating content for hungry audiences. Who will they turn to as an expert source of information when a mysterious apple worm is destroying orchards? Johnny Appleseed, author of Red All Over – The Core of the Apple Industry. There are some caveats. A poorly conceived, poorly designed, poorly written or poorly promoted book is worse than no book at all. Your book must capably and professionally represent your unique message – and you. Not a writer? Not a problem. There are thousands of talented freelance writers and editors out there – especially in the wake of all the newspaper layoffs in recent years – who can help. So don’t worry about that just yet. The first step is planning, and that’s up to you whether or not you will actually do the writing. 1. What message am I enthusiastic about that I want to convey? 3. How will it help them? 4. Why am I the one bringing this idea to them? 5. How can I make my points unique and different from what has already been said on the topic? Pay attention to your own reactions as you test-drive your ideas. Which idea makes you smile? Which excites you creatively? Which hits the essence of what you’re about – what you enjoy, think about and create every day? It may be an idea you never even realized inspired such passion in you. Consider what you really want to achieve by promoting yourself or your business. Business owners obviously want to grow their business and see it flourish; some people want to build careers as speakers. But often, there’s something deeper driving us and we may not even be aware of it. Taking the time to do some soul-searching to identify your real motivation can help you clarify your message and find your book’s focus. A real-life example: When I sat down to write Celebritize Yourself, I planned a how-to book on commonly asked publicity questions. But, when I ran that idea through the five-question test, I had trouble with No. 5. So, I asked myself, “What do I most enjoy about my professional life?” The answer was easy: helping people identify and value what’s unique about them and their message. In writing a book about how to get publicity, I realized I needed to explain why everyone has an expertise that should be shared. It’s never too late to write your book. I know it seems daunting, but remember, the first time you do anything, it’s often a challenge. Remember how hard it was wobbling down the sidewalk on your first bicycle? You may have crashed a few times, skinned your knees and bumped your head, but you got back on and kept trying. Call on that brave 6-year-old you and start planning your book! *Marsha Friedman is the Founder and CEO of EMSI Public Relations. As a publicity expert, she has authored the book 'Celebritize Yourself'. Blog feature sponsored by Pneuma Springs Publishing. A book video for Playing Havoc has been released. Playing Havoc, partly based on fact, partly a black comedy, describes one small British Island’s battle to maintain some normality in the chaos after a coronal mass ejection through the eyes of one man who had only recently moved there with the very intention of getting some peace. Steve Morris is the author of 'In All Probability', 'Jumble Tales' and soon to be released novel, 'Playing Havoc'. 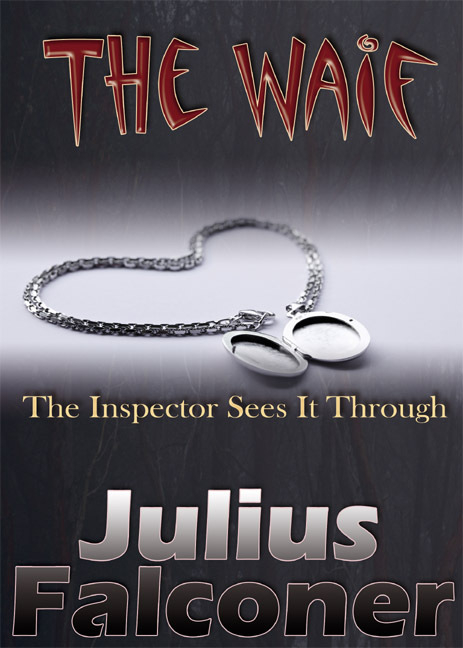 Spring Leaf Books has announced the that the ebook edition of The Waif by Julius Falconer is going to be free on Amazon between May 01, 2012 to May 02, 2012. If you haven't picked up any of Julius Falconer's series yet, this is a great opportunity to try one of them for free.